Easy and fun Kwanzaa songs for preschoolers through second grade. Sung to the tune of Spiderman. Mishumaa Saba! I put those in my Kinara. Corn and mats! Corn and mats! Kwanzaa uses corn and mats! Habari gani? Today’s the day of Imani! Kikombe cha Umoja, filled up with fruit ambrosia. Dr. Maulauna Karenga. Creator of the Kwanzaa. Jambo! Here comes the Kwanzaa-Man! On “Jumapili” I’ll have a Kwanzaa party. Sunday night, don’t be late! You need not be black to celebrate! Twende! ‘Cause I bought way too much corn. Repeat 7 times, for 7 days, in commemoration of the Seven Principles. Now if you’ll excuse me, I have an abnormal amount of corn I have to deal with. and Kwanzaa is its name oh. 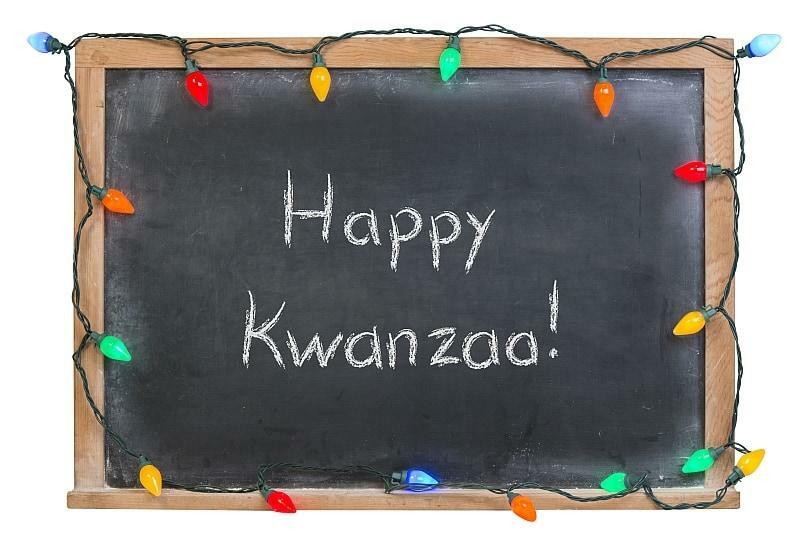 We’re so glad Kwanzaa is almost here!